As the benefits of a VMS-based solution become more significant for those installers and integrators seeking to deliver bespoke and innovative solutions, so the need for appropriate hardware must be considered. At the higher end, servers will need to be customised to ensure an appropriate level of performance, and this is often best achieved by working with a credible server supplier. 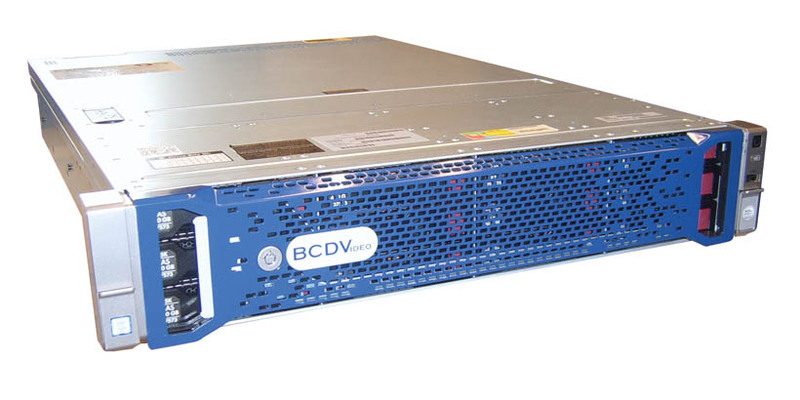 For performance-oriented solutions, BCDVideo offers its Nova series of high end servers. Today’s VMS packages offer a wide range of flexibility, and carefully written and implemented code means that stable performance can often be achieved using cost-effective hardware. However, as the requirements of the surveillance solution increase, so the available capacity and performance must also increase. At the higher end, specifying the correct server becomes a very important task, and as such it is often necessary tom liaise with a specialist supplier. As the demands of individual sites become more complex, the flexibility of any specified server becomes increasingly important. There is no simple ‘one size fits all’ solution, and so installers and integrators will find themselves seeking a credible partner who can ensure the servers can deliver the required performance, both in terms of video management and housekeeping (including security and system healthcare). Support is also a pivotal issue. If a server provider has little or no knowledge of security or video surveillance, the odds are that if an issue arises, the restored server will need reconfiguring with the VMS needing to be reinstalled. For the installer or integrator, this can result in significant downtime. It is also important that steps are taken to optimise server configurations so as to ensure the hardware is able to handle the demands typical of around-the-clock video surveillance and security system management. These are all tasks best handled by a trusted partner. BCDVideo offers a range of surveillance servers, with budget-friendly variants in the Orion series and mainstream applications served by the Aurora range. The Nova series is the company’s high end range which delivers a good degree of flexibility. The Nova server series is aimed at professional IP-based video surveillance applications, and can be fully customised for the requirements of any application. 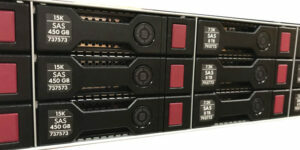 The servers make use of SAS technology. The use of SAS technology enables higher bandwidth and increased storage densities with reduced energy consumption. This approach enables the servers to support more high-resolution cameras than many traditional servers. While the Nova servers can be deployed with the vast majority of professional VMS solutions, the hardware has been certified by both Genetec and Milestone Systems. Genetec tested the server using over 500 cameras. Nova servers can be supplied with both Genetec’s Security Center VMS of Milestone’s XProtect pre-installed, with the server optimised to deliver enhanced performance. The physical server is available in 1U 4 bay, 2U 8 bay and 2U 12 bay versions, and a total of up to 96TB storage can be supported. RAID options are 0, 1, 5, 6 and 10. RAM is up to 16GB. The Nova servers make use of Xeon E5-2620v4 processing and the operating system is Windows Server 2012 R2. The servers have dual redundant power supplies, and include two gigabit Ethernet LAN ports. With resilience and stability core issues for advanced surveillance solutions, the Nova server series incorporates active monitoring of the server’s operational health. BCDVideo has developed a healthcare system which it refers to as SMARTTechnology in order to protect against vulnerabilities and system crashes. SMARTTechnology incorporates the use of intelligent hard drives with predictive failure alerts and indicators to allow a quick visual check of the server’s operational state. A SMARTrestoration function enables the installer or integrator to remotely reboot and restore the server’s disk image. Finally, the SMARTvault function isolates the VMS configuration data. Back-ups can be created from the VMS, and this data can be used to restore system settings. The server is also covered by a five year worldwide warranty. Performance of the Nova server series will inevitably depend upon the final specification, the needs of the application and the load being placed upon it. However, with a breadth of customisation options, it should be possible to deliver the right level of performance and reliability. The Benchmark test server was specified with assistance from BCDVideo and is used as a part of the ongoing Benchmark Smart Solutions project. It has been running Milestone XProtect Corporate 2017 R2, and as well as being used for the project it has also been used in a number of video-based tests including 4K UHD cameras, PTZ-enabled networked dome cameras and thermal imaging tests, along with a number of analytics-based assessments. Performance has been both consistent and problem-free, with no server-based issues or causes for concern. As would be expected from a server, it does its work in the background and so there’s no impact on the VMS or video performance. Obviously, much of this will be dependent upon getting the core specification right, and this is something the technical team at BCDVideo can help with. Probably the biggest compliment that can be paid to the Nova server we have been using is that you tend to ignore it, because it doesn’t impact on the video performance in any way. In the past we have seen some hardware start to ‘creak’ a bit when the processing gets pushed to the limit, but this has not happened with the Nova. Of course, if the server is under-specified you will see an impact of heavy video loads, but that would be true of any infrastructure hardware. The best advice is to consult with BCDVideo and take advantage of the company’s expertise when it comes to assistance with regard to specification. This also places the onus on the supplier to get things right! BCDVideo’s Nova server series is a high end video surveillance server that delivers the right level of performance for surveillance applications. It has been optimised by the company to deliver resilience and a robust processing and storage solution. There are a lot of customisation options, which does allow the installer or integrator to ensure the specification will meet the user’s requirements. Performance is good, to the point where you won’t notice the server, and that’s as it should be! As such, the Nova server series achieves Recommended status.